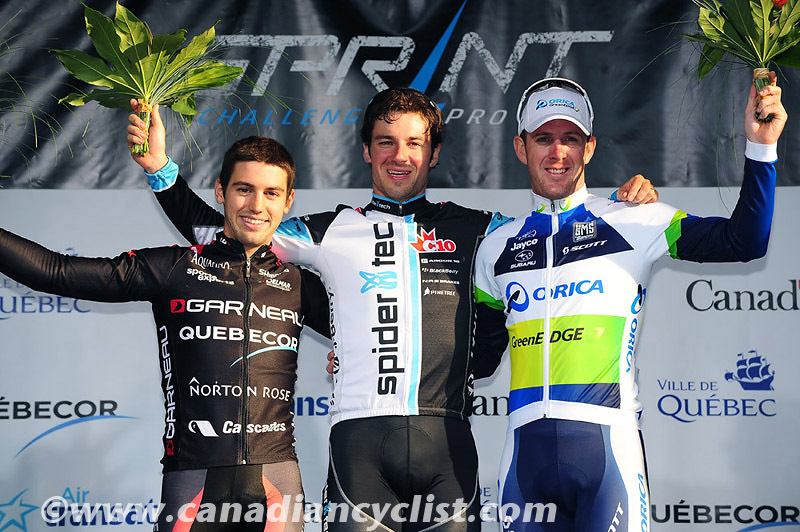 Zach Bell of Team SpiderTech powered by C10 sprinted to victory Thursday in the opening event of the Grands Prix Cyclistes race weekend. The fan-friendly Challenge Sprint Pro pitted 24 riders – one from each team entered in the WorldTour events Friday and Sunday – against each other in an elimination format on a one-kilometre course. “You had to push it to the whole in front of tough field. To come here in front of such a great crowd in such a fine setting is just brilliant,” said Bell. “If Challenge Sprint Pro becomes a regular thing, for me it’s obviously a good race,” added Zach Bell, 29, who had recently finished 7th in the omnium race at the 2012 Olympic Games in London. Bell was determined to make up for being eliminated in the opening round of this event last year and won all three of his heats to line up in the final against Rémi Pelletier-Roy (Garneau), Matt Goss (Orica-GreenEDGE) and Michael Matthews (Rabobank). The final opened with a game of cat-and-mouse, with none of the riders willing to take the lead. 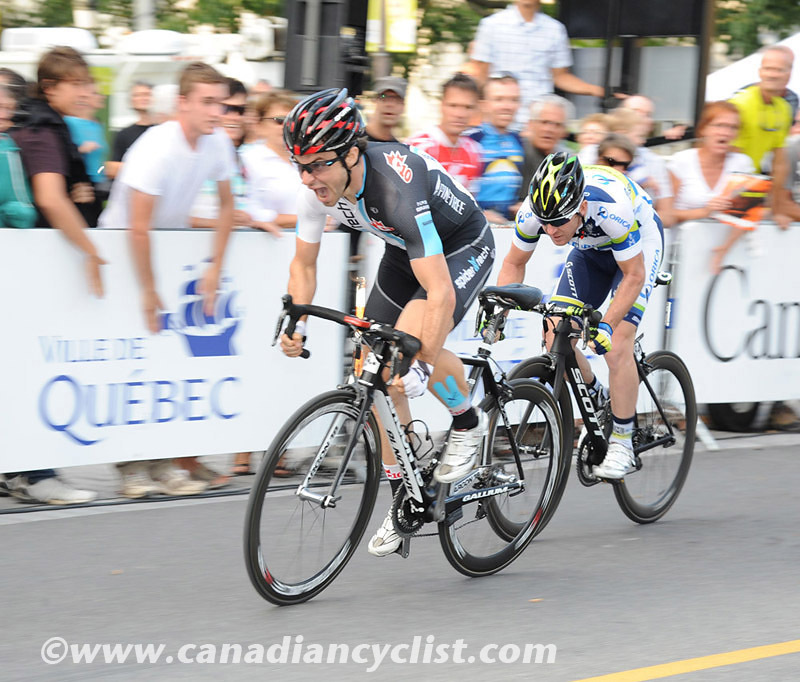 In the end, it was Bell who opened up the sprint on the uphill run to the finish, holding off Pelletier-Roy and Goss to win the top prize.